HomeDevil May Cry 5 (DMC 5)Playable Demo released on February 7! Devil May Cry 5 (DMC 5) - Playable Demo released on February 7! 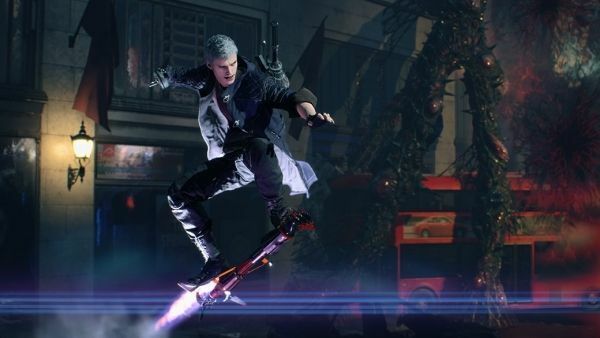 A second playable demo of Devil May Cry 5 was released on February 7, 2019 that allows Playstation 4 owners to experience a preview of the game. The playable demo of Devil May Cry 5 will be available for download today (February 7, 2019) on both Playstation 4 and Xbox One. This marks the first time that PS4 owners will be able to experience the game before its scheduled release. It has been revealed that the content of the Playstation 4 demo will not be entirely the same as the one on the Xbox One. Devil May Cry 5’s demo was first made available on the Xbox One on December 7, 2018. Devil May Cry 5 is set for release worldwide on March 8, 2019. Because of the demo’s release, players will be able to get a preview of the game before it comes out!